Much has been made of the news that Wanxiang the leading Chinese auto parts maker has bought Fisker the failed “plug in” auto company that Al Gore and his partners at Kleiner Perkins invested in and pretended was a green technology and the future of automotive technology. The link below summarizes the recent purchase of Fisker by Waxiang. Waxiang now owns the old assembly plant in Delaware and we will see if they assemble cars in the First State. What is not reported is the previous business relationship Waxiang had with Kleiner Perkins when Waxiang invested heavily more than two years to become the largest shareholder in Great Point Energy a Kleiner Perkins startup. Great Point claimed to have coal to natural gas synthesis technology. KP invested in them when natural gas prices in the US were high and all the pundits except the Green Machine thought the US would have a long term continued shortage of natural gas. 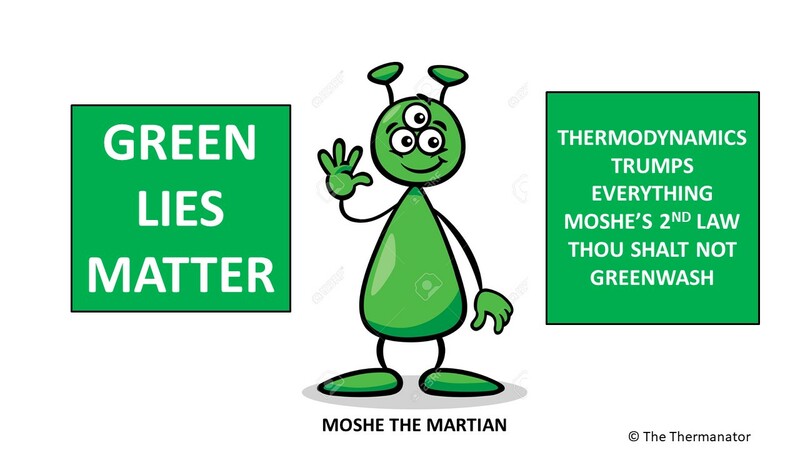 Nothing green about Great Point as it produces one mole of CO2 for each mole of CH4 or in mass terms it produces 2.75 tons of CO2 for each ton of methane produced. Uncle Al Gore and his partners at KP made money in selling a CO2 polluting technology to the Chinese. The link below explains this pollution in the form of CO2 that China will inflict upon the world in converting their coal to methane. Worse still the coal to methane technology needs copious amounts of water that China simply does not have in the arid regions of the country where these plants will be located. 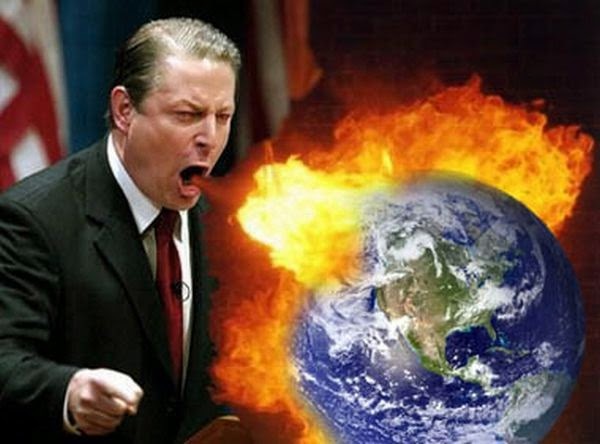 Al Gore and his friends at Kleiner Perkins don’t really care about air and water! They simple care about green backs. What is interesting is that Wanxiang and Kleiner Perkins had a tight relationship that long predated the Fisker sale. The press made a big story of how two Chinese companies fought over Fisker. I published the story that the US DOE gave up their secured position in Fisker for Bupkis. I now think the whole “auction” fight that entailed Wanxiang was a sham. KP and Wanxiang are “buddies”. KP wanted Wanxiang to win Fisker at the lowest cost to help their buddy. They all arranged the third party other Chinese company to buy out the Feds at pennies on the dollar to rid the company of the DOE loans that were secured. Wanxiang and the third party Chinese company pretended to bid against the other in the bankruptcy auction and we the tax payers were long forgotten. Fisker is now firmly in the hands of Wanxiang who are KP’s partner in Great Point and KP and Wanxiang will continue to be partners polluting the air in China and diminishing the water supply in the arid regions of China. A Great Point I am making is how naive if not stupid Dr. Moniz and his DOE were when they were played like a cheap fiddle to bow out of our secured position in Fisker. The other Great Point I am making is that Kleiner Perkins missed out on the shale revolution and invested in Luca the Polluter that is now shut, and Great Point is a “technology” that only makes sense in China where natural gas is in short supply and the country pollutes like there is no tomorrow. The last Great Point of this blog is that Al Gore is Gangrene from head to toe and is a Great Pointless Hypocrite. Leland Yee the big time California politician was busted. He is one of three high powered and high ranking Democrats in the California government to be in hot soup. The American hustle is happening in California. Not that it is new. We know about my Congressman and his At&T hot wire connection where AT&T reached and touched someone. But my Congressman is still gloating on his Facebook page that he helped get the state government in the once golden state to ban shark fin soup. OK Huffman was against shark fin soup while Leland Yee loved the soup. Now Leland is reduced to eating minnow strone soup, I wonder if Huffman will look to ban minnows in soup as well and say to the Feds let Leland eat gruel. Huffman points out that he had fin-dication and thinks he is punny. I just think he is just another fake politician who pretends to be green and thinks he is fin-tastic. I think all he capable of doing in the kitchen is making egg drop soup and coming up with legislation that helps his friends at AT&T. On the other side of the crooked aisle, Condi Rice’s gangrene company KIOR was busy polluting the municipal waste water system in Columbus Mississippi while they pretended to make diesel from pine trees for Haley Barbour. Condi resigned from the board of KIOR in December 2013. The SEC started to investigate KIOR in January 2014. Who tipped Condi off is the question? This week the President of KIOR resigned his post in the company. The acting CFO and secretary of the company will now also be president. This guy wears many hats and now has a top hat as well. 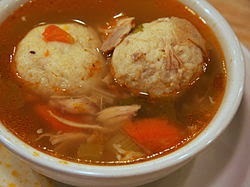 All this talk about soup has me thinking of Passover and matzah ball soup. I have to say I prefer matzah ball soup to shark fin soup. On the green side I like split pea soup with ham. Leland may soon be getting gruel and Huffman may only make egg drop soup but KIOR still cannot make diesel soup out of pine trees even with Condi pretending this was a reality. Next week we will know if Vinod will continue the folly in Columbus and put another $25 million into KIOR or simply tell the hundred folks who work at the plant sayonara and give them miso ree soup. Happy Passover and Easter to all and remember you can fuel some of the people some of the time but you cannot fuel all of the people all of the time. My blogs go back three year on these thermo fakes. It makes good reading. This is kind of like losing a million dollars a day for a whole year. Vinnie touted the alchemy of making diesel out of wood when he took Leslie Stahl of 60 Minutes for a walk around the plant in Columbus Mississippi. In 2010 Haley Barbour helped the very poor state secure $81 million in loans to Vinnie and his team of alchemists. Vinnie was outraged that Leslie in her stalled vehicle running on KIOR gasoline outed on 60 Minutes the green energy scams of the past five years. Vinnie I want to see you walking around with the test tube of miracle catalyst that you showed Leslie and still claim you can make gold out of lead. Vinnie what we do know is that you and your friend Jagdeep Singh Bachher from Alberta screwed the people of Mississippi and Alberta out of their money. Vinnie I suggest you go hide on your property along the Pacific Coast that is fenced off to prevent surfers from reaching a public beach. Better still take a long trip with your buddy Jagdeep and go find a guru in the Himalayas who knows thermodynamics. It is a beautiful day here in California and a terrible day for Condi and Vinod. 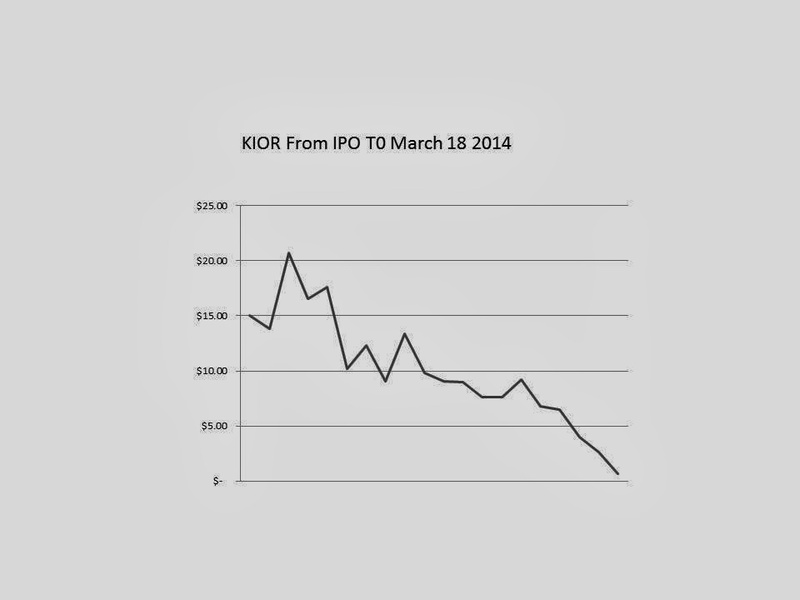 The SEC is investigating KIOR for false claims of weapons of mass combustion. Condi took her Imodium and had donned the Depends. She may have immunity of prosecution for ruining the lives of millions with her war on Iraq but she is not going to have immunity from prosecution for lying in a year ago about weapons of mass combustion. Condoleezza Rice, former U.S. Secretary of State and a current member of KiOR's Board of Directors, added, "KiOR is changing the American energy equation by innovating and commercializing an entirely new generation of hydrocarbon-based diesel and gasoline fuel. By making the promise of cellulosic fuels a reality, KiOR demonstrates that these fuels are an attractive option for lessening America's dependence on foreign sources of energy." Condi you need to explain to the American people how KIOR demonstrates that this promise of cellulosic fuels is a reality. Your reality is mostly imagination. Condi go hide and play your piano! Our wealth has been spent on dumb wars and dumb green imposters like Vinod your client who you advise. "We have substantial doubts about our ability to continue as a going concern. To continue as a going concern, we must secure additional capital to provide us with additional liquidity. Other than the Commitment from Mr. Khosla to invest in us a cash amount of up to an aggregate of $25,000,000 in available funds in a number of monthly borrowings of no more than $5,000,000 per month, we have no other near-term sources of financing. Because the Commitment is subject to the negotiation and execution of definitive financing documents and the achievement of performance milestones, we cannot be certain as to the ultimate timing or terms of this investment. If we are unsuccessful in finalizing definitive documentation with Mr. Khosla on or before April 1, 2014, we will not have adequate liquidity to fund our operations and meet our obligations (including our debt payment obligations) and we do not expect other sources of financing to be available to us. This will likely cause us to default under our existing debt and we could be forced to seek relief under the U.S. Bankruptcy Code (or an involuntary petition for bankruptcy may be filed against us)." Vinod Khosla may now actually shut up and fade away instead of hyping the thermodynamic junk he sold Haley Barbour and the State of Mississippi. Vinod Khosla is a three time bio fool. He brought us Cello, Range and now KIOR. I have written a book called the Morax. Vinod is not a onceler he is the Megaler and three time loser. 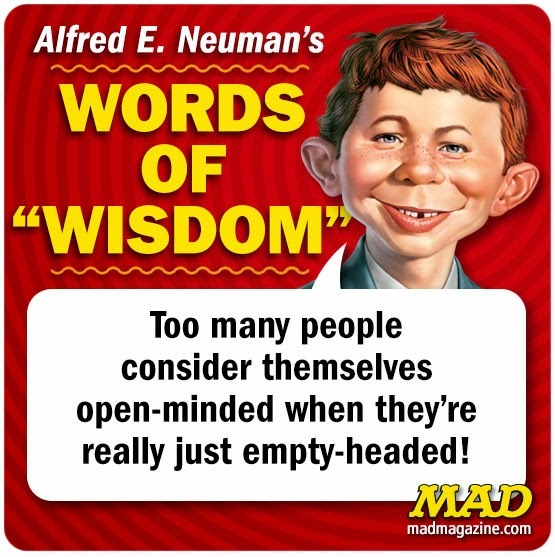 A megaler is a megalomaniac who believes he has enormous “renewable” power. Dr. Seuss wrote the Lorax but Leveen The Green Machine has written the Morax. I will be posting a chapter each day of the Morax on Greenexplored. As for Condi Rice and her missing weapons of mass combustion, she was spotted at the local Safeway near Stanford buying up Depends and bottles of Imodium. Just to be safe she also stocked up on Pepto Dismal both in liquid and tablet form. 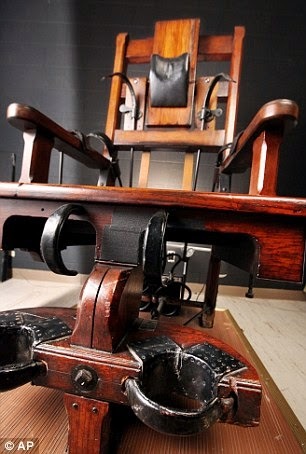 Codi you are headed to the throne where you belong. This week was rather bizarre. A large jumbo jet on a flight from Malaysia to China disappeared . This is a terrible disaster and a very sad event. Hopefully the wreckage or missing plane will be found and the cause will be determined. KIOR, Condi Rice’s company that practices alchemy to make diesel from pine wood chips also had a mysterious event this week. A day before they were scheduled to announce year end results and hold an investor call they cancelled the event. I think the auditors may be refusing to sign the year end statement and want to give warning about KIOR being able to continue operating. Maybe Vinod Khosla who has invested deeply or the Province of Alberta who have also invested large amounts in this junk company intend to take it private via a bankruptcy filing? We should find out this week what these Alchemists have up their sleeve. I do know the plant that violates the laws of thermodynamics is located in Columbus Mississippi. The world is not looking for the missing Malaysian Jumbo Jet in Columbus but if they did use thermal imaging on the plant in Columbus it would show a stone cold temperature for this “hot” technology that Condi and Vinod hyped. The green gringos who still think biofuels have promise are now touting the biofuels for aviation. If this ever transpires we probably will have many more planes simply falling out of the sky. New Jersey gave Tesla a black eye by banning direct sales of Tesla’s cars in the state. New Jersey expects Tesla to use dealerships to market and sell cars. New York will likely follow and Elon is fuming that he is not getting his own way in the Garden State. It seems that New Jersey where Mr. J lives has quite a few Tesla owners. Mr J. reported to me that since the weather in New Jersey warmed a little his Tesla Model S is getting better electric fuel economy. Mr. J. is still nowhere near Dr. P’s fuel economy there in Orange County California. Dr. P reports he has over 26,000 miles on the Model S and it is going strong. Dr. P has slowed down a little in the HOV lane after getting a speeding ticket in Riverside and his watts per mile have decreased a little. The EIA that is part of the department of energy reported on Wednesday that natural gas in storage has hit a ten year low after another massive drawdown due to cold weather afflicting the country a week ago. Interestingly natural gas production is still higher than last year but the much colder weather increased residential and commercial heating demands significantly. Some are worried that the build-up of gas in storage in the coming months may not be sufficient. I think the build-up over the next six months will be within the normal range. Yes it was a crazy week and the great lakes are 90% ice covered from the extremely cold winter in North America. Maybe the summer will be extremely hot or it may be normal but I am sure that Mr. J. will take whatever the summer brings as he is tired of shoveling snow and watching his watts per mile far exceed those of Dr. P.
There are side reactions that cause crud to build up on the carbon anode of a lithium ion battery. This crud eventually blocks the surface of the anode and eventually may render the battery dead. Interestingly these side reactions are time dependent and temperature dependent just like all chemical reactions. The more time taken during charging and discharging the greater the number of these occurring side reactions and the higher the temperature the faster these reactions occur. My lap top and my phone operate under conditions where these side reactions are most favored. The lap top is hot and the phone is hot. The charging rates are slow. The discharging rates are slow. Viola these batteries are kaput after five or six hundred cycles. One would think Mr. J in New Jersey is probably doing harm to his Tesla model S by charging slowly and driving slow. He is lucky the winter has been cold. But actually his Tesla has a good battery thermal management system and the batteries Panasonic makes for Tesla have some exotic additives in the electrolyte to minimize these side reactions. Last week I opined that Elon Musk has the best data on how long these battery packs will last. First in the car and then being used to store grid power. Each day I become more convinced that the batteries in a Model S will enjoy many thousands of cycles. I think we will see Tesla offer a car for a small down payment and then a monthly charge of say 20 cents a mile. The “owner” will buy the electricity and Tesla will get recurring revenues like Gillette selling razor blades. 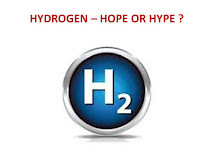 I was correct in telling the world the initial price of lithium ion batteries will not come down, what I and many others missed is that batteries made today in a state of the art manner with additives to the electrolyte and deployed in packs with good thermal management systems will last a long time. The first cost is irrelevant in a world where the Federal Reserves has easy monitory policy and credit can be extended for capital goods that last a long time. From a Green perspective this is actually wonderful. Waste is the enemy of eco efficiency. Longer lived batteries mean less waste. There is a high initial amount of energy needed to mine and refine raw materials needed to fabricate the batteries, but if this is amortized over 5,000 cycles instead of 500 cycles this primary energy is well worth spending for later recapture. Mr. Marsh the Leaf owner in Seattle who has driven 100,000 miles in his Leaf proved the Leaf is green in Seattle. He lives in a climate with moderate temperature and charges and discharges his batteries rapidly. Hence he enjoys the best possible battery life on the Leaf. Motorists in Phoenix Arizona who drove their Leafs in hot weather and did small trips here and there have already destroyed their battery pack. The Leaf had a poor thermal management system and Phoenix was simply too hot a climate for the car. There is not much one can do about laptops and phones from a rate of charge or discharge perspective. The temperature control is also very basic. These batteries may improve as more vendors learn how to formulate the electrolyte with improved chemicals to minimize the side reactions. Dr. P may have got a bargain on his model S. He has high rates of charge and discharge and operates in a moderate climate. We all hope he gets 300,000 miles on his battery pack that Elon has guaranteed for 8 years will not go below 70% of initial capacity. 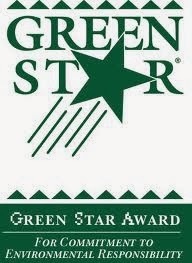 Dr. P we have our fingers crossed for you that you win a green star. This blog is an upbeat blog on PV and provides real data from real projects. The Chilean 100 megawatt DC power PV project is up and running. The developer estimated it would cost $2.40 per watt and the solar resource in the Atacama will yield 2,700 watt hours per year for each of the 100 million watts installed. Just this week a friend in California shared a proposal he has been given for a PV system on his warehouse roof here in California. His project will cost $3 per watt and will be for 84 kilowatts DC power (84,000 watts). Although the Chilean project is 1,200 times larger and ground mounted the unit cost in Chile is only 20% lower. Chilean labor is also less expensive than Californian labor. The Chilean project has single axis ground mounted trackers the California project will use non tracking frames that have ballasts to hold the PV modules in place on the warehouse roof. The California project will generate 128 million watt hours per year of AC power or 1,523 watt hours per year for each watt of PV module installed. Of course the Chilean project is a “better” project less unit cost per watt and more output per year per watt, but both projects have their place under the sun. A warehouse in the Bronx NY has installed 1.6 megawatts of PV on its roof. That must be one bloody big roof!! 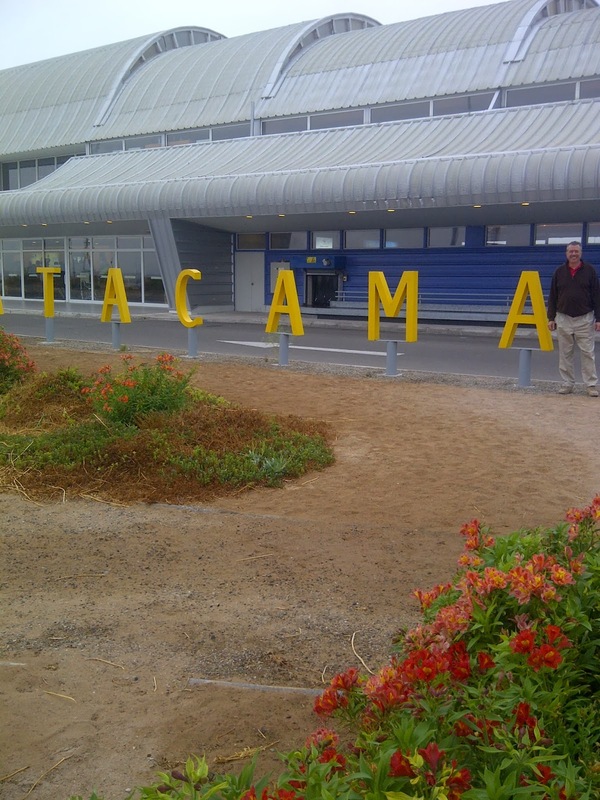 I hope to get data on this project and will make the comparison between the Bronx and the Atacama. These two places are the most opposite extremes of places in the world. The Chinese did a marvelous job at destroying the profit in PV module manufacture but the end result is some rather good projects in sunny places around the planet. Wind turbines have not come down in price over the last five years and in fact due to the higher cost of steel, copper, and cement the price per watt is up a little over the past five years. A 100 megawatt wind farm that is onshore will cost about $2.50 per watt. A similar capital cost as the Chilean PV project but the wind turbines need a lot of maintenance over the years, whereas the PV modules need little maintenance although the output of the PV modules will decline by about 0.7% each year as the modules age. Five years ago wind was a more economical source of renewable grid scale electricity, now PV is the lowest cost alternate. Of course I am assuming both project are located in places where the wind or sun is abundant and fairly consistent. The concentrated solar boondoggle in Ivanpah that Google, Brightsource, and their other partners developed at tax payer and rate payer expense is simply the wrong way to go. That project is a travesty and is the poster child of crony capitalism. Much talk about batteries this week with Tesla announcing they intend to build a $5 billion giga battery factory in the south western US. I think this factory is going to be built and will yield the batteries that Elon needs for his cars that will still remain very expensive. This battery factory will not yield a car that has 300 miles of range on electricity that has an initial cost of $30,000 per complete car. Elon is smart and he may be thinking the batteries can endure many more charge discharge cycles than most think is possible, and the whole business of EVs and of grid energy storage will be a pay as you go model. If the high cost EV or the high cost energy storage for the grid can be amortized over many years then the high initial cost can be buried in the monthly leasing rate. As the batteries lose capacity over time they can be moved from vehicles where peak performance is needed to stationary grid storage applications. Elon knows this better than all of us combined and he is building that mega battery factory for an economic reason and the smokescreen is the promise of the people’s car that can be bought for $30,000. Two years ago I said Tesla would not produce the $50,000 model S and will concentrate on high end cars. Today I am saying that Tesla may produce a “leased” car for the masses if Elon gets his mega battery factory up and running and then uses it to feed new batteries into EVs and then he uses used batteries to store PV and wind power for the grid. The Green Machine will be tickled pink if this can actually occur as this will green up the planet and also stand on its own two economic feet. This is actually very exciting stuff, I just hope Bolivia and Chile have enough lithium for this endeavor. I kind of like the idea of a global Zip Car EV company that really changes the transportation world and then uses the older batteries to economically store PV power. My old friend Dr. P with his Tesla and PV system may actually be the smartest guy in the room. When his Tesla dies as a car he can park the old car in the garage and store power for the mudslide event that is certain to happen in Orange County CA and knock out his power to his mansion. I will still be driving the old Mercedes and hoping PG&E is still around to provide me grid power.